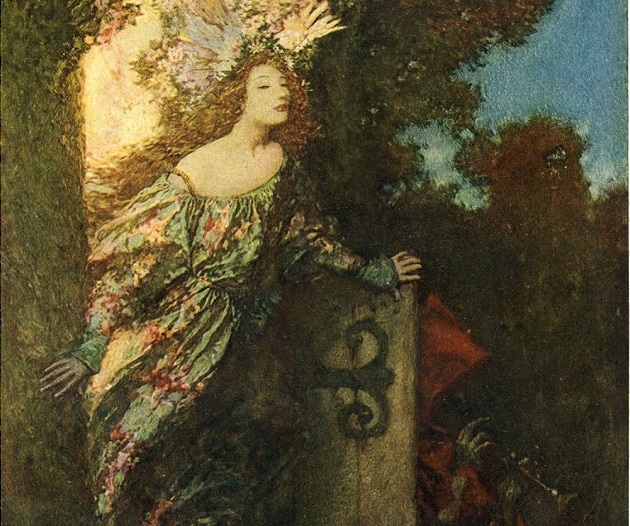 Detail from “The Wicket of Paradise,” by American illustrator Howard Pyle (1853–1911), the first of four full-color panels for his allegorical story “Travels of the Soul,” published in the December 1902 issue of Century Magazine. Image courtesy of the Null Entropy website. As to the old stories of which you speak so kindly, I regard them as the excesses of youth. They were all written “at the top of my voice,” & The Fulness of Life is one long shriek. —I may not write any better, but at least I hope that I write in a lower key, & I fear that the voice of those early tales will drown all the others; it is for this reason I prefer not to publish them. Years later, in her 1934 memoir A Backward Glance, she admitted the early stories “attracted attention, and gave me the pleasant flutter incidental to first seeing one’s self in print; but they brought me no nearer to other workers in the same field.” A contemporary critic, reviewing the issue of Scribner’s in which the story appeared, singled it out for ambiguous praise: “You are at loss as to whether the author meant to be deeply metaphysical or broadly comic. She has certainly achieved the last result.” In recent decades, however, the story has received renewed attention, particularly for its widely discussed metaphor, “that a woman’s nature is like a great house full of rooms,” some public, some private, with a central chamber that houses her soul. 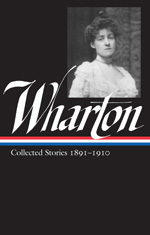 Although the Whartons were married for nearly three decades, Teddy, like the character in Edith’s story, “never got beyond the family sitting-room” in her metaphorical house. They divorced in 1913. Note: In the revealing scene at the center of the story, the married couple visits the fourteenth-century church of Orsanmichele in Florence and its famous tabernacle designed by Andrea di Cione di Arcangelo, better known as Orcagna. For hours she had lain in a kind of gentle torpor, not unlike that sweet lassitude which masters one in the hush of a midsummer noon, when the heat seems to have silenced the very birds and insects, and, lying sunk in the tasselled meadow-grasses, one looks up through a level roofing of maple-leaves at the vast, shadowless, and unsuggestive blue. . . . If you don't see the full selection below, click here (PDF) or click here (Google Docs) to read it—free!